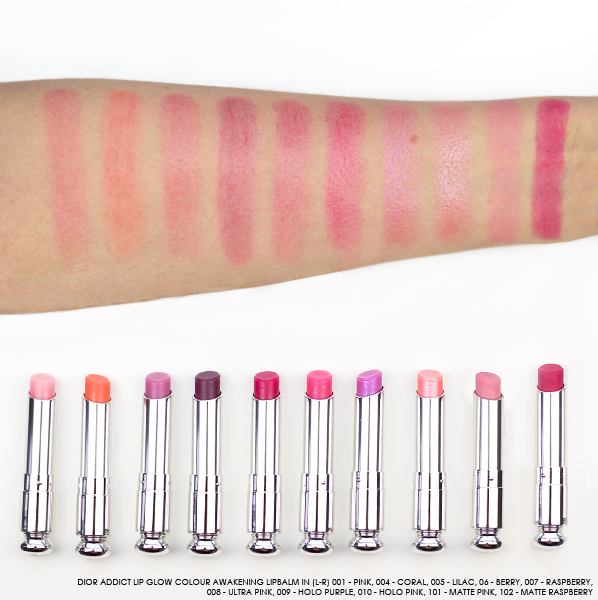 There’s a good reason why 1 Dior Addict Lip Glow Colour Awakening Lipbalm is sold every 3 seconds in the world: it’s a cult beauty product that has stolen the hearts of makeup artists, models, bloggers and the everyday makeup lover like you and me. Why? 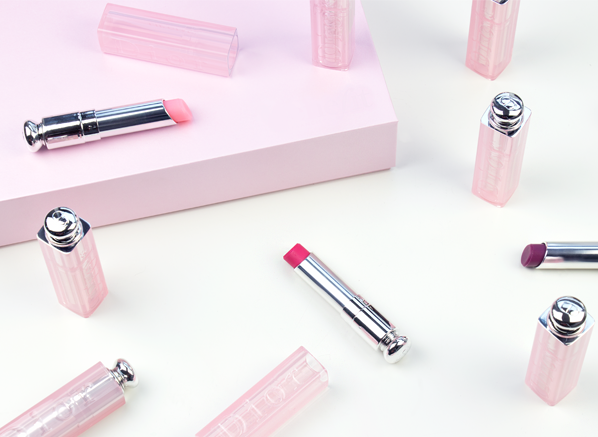 Because it’s far more than just a lip balm, it’s a pH adaptable lip colour that allows everyone to have their own piece of DIOR. 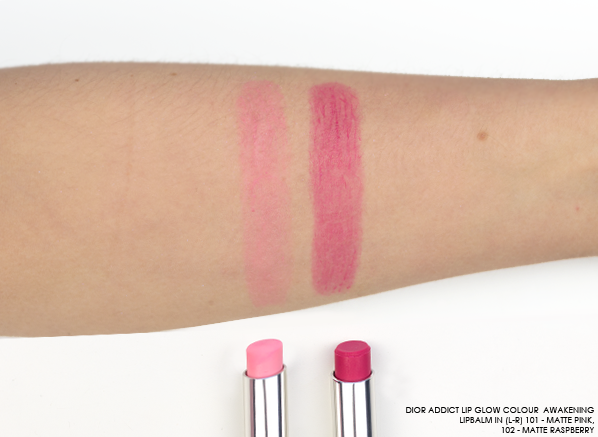 What’s special about DIOR’s Lip Glow formula is its ability to adapt to the pH of your lips thanks to colour reviver technology, giving you a made-to-measure rosy tint that’s completely bespoke to you. You can also expect your lips to feel completely plump and nourished too (during and after use), as the formula contains wild mango butter and cranberry oil, which delivers lips with 24 hours worth of beautiful moisture. Are you wondering what you can expect from the new finishes? 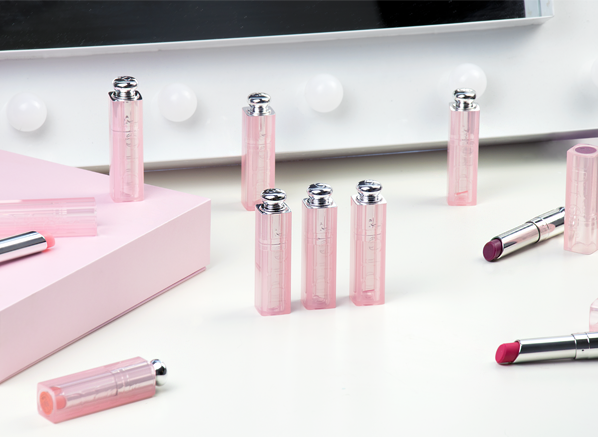 Each new Addict Lip Glow formula uses the same colour reviver technology and offers the same comfort too, DIOR has just added more finishes and colours to the catalogue so that you can now enjoy Lip Glow in a finish that’s perfect for you. 001 – Pink: The original pink shade has a delicate light pink hue that glides on almost transparent, which quickly adapts into a bespoke rosy tint. 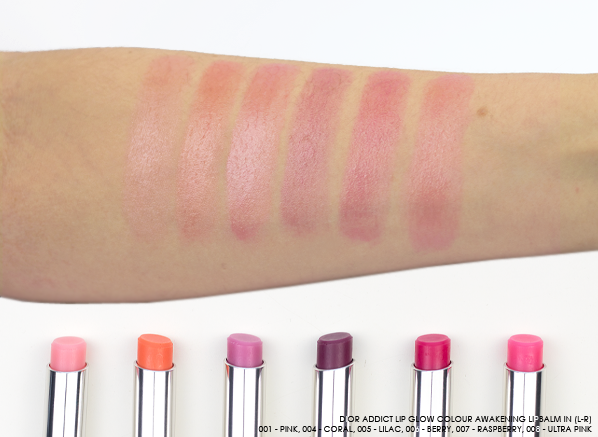 004 – Coral: Coral is a radiant orange-pink that offers a warm alternative to the original Lip Glow, which will make an excellent your lips but better shade for tanned complexions. 005 – Lilac: This purple-pink hue has a blue undertone that’s delicate and soft, offering an ever so slightly more intense colour payoff to the original. 006 – Berry: More tinted than the ones before, Berry cocoons lips in a hi-shine just-bitten berry shade. 007 – Raspberry: Juicy and feminine, Raspberry is a brand new shade for 2018 and has an almost fuschia tint that can be layered to create a vibrant pop of pink. 008 – Ultra Pink: Also new for 2018, Ultra Pink is a limited edition release that dresses the lips in a peachy pink hue. 009 – Holo Purple: New and Limited Edition, Holo Purple has an almost intergalactic finish as the lilac-pink shade is woven with sparkling flecks of violet. 010 – Holo Pink: Another of the newest additions, Holo Pink is a reflective rosy pink with iridescent flecks of blue and violet throughout. 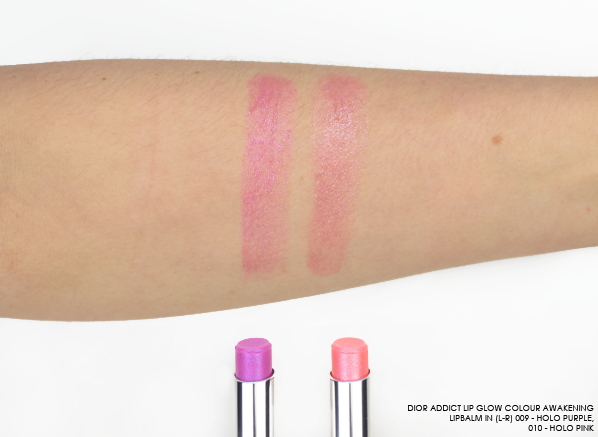 101 – Matte Pink: This new bubblegum pink shade applies buttery and soft, cocooning the pout in a delicate, warm pink. 102 – Matte Raspberry: Bold and beautiful, this new shade is a bright berry tone that gives lips a gorgeous purple vampy hue that remains fresh and feminine. This entry was posted on Friday, January 12th, 2018 at 3:50 pm and is filed under Brand Focus, Make-up, New products, Swatches. You can follow any responses to this entry through the RSS 2.0 feed. You can skip to the end and leave a response. Pinging is currently not allowed.